Anping Zhongliang Hardware & Metal Products Co.,Ltd is an enterprise engaged in manufacturing and trading kinds of wire and wire mesh products. Our main products : stainless steel wire ,stainless steel wire mesh, welded wire mesh, hexagonal wire mesh, chain link fence, crimped wire mesh, barbed wire, PVC coated wire and so on. With good quality and competitive price , our products are sold to USA ,Canada ,Southeast Asia, Middle-east, Hongkong,Taiwan, etc. We sincerely hope to build up friendly business relationship with all customers worldwide on the basis of frank cooperation, mutual benefit for a prosperous future. 201, 202, 301, 302, 304, 314, 316, 316L 430, both annealed and tempered. 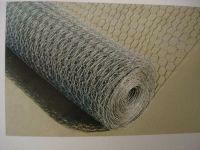 Usesd: re-drawing, weaving mesh, stainless steel wire rope, filter equipment, spring and so on. We also can provide other specification according to the clients' requirements. Meanwhile, we accept the business of processing supply material. Material: PE, PVC, ultraviolet ray resisting and age resisting auxiliary can be added. 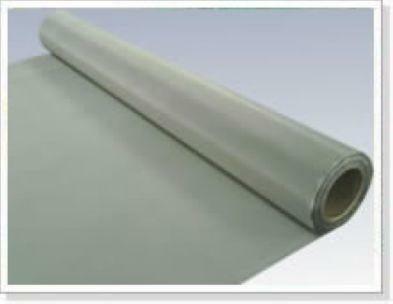 Color : The PVC coating is in the color of green, blue, yellow, orange, gray, white, black and others. Workmanship: With quality metal wires, PVC coated iron wire (PCIW) (also PIW, PVC Iron Wire), is manufactured by having the metal wires firmly covered with PVC plastics, which can protect the metal wire from corrosion and wear. Feature: Wear-resistant, Corrosion-resistant, Crack-resistant. 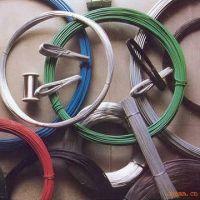 Its service life is several times as long as galvanized iron wires'. Application: It is extensively used for making wire mesh which can be applied in areas of wet, high-salt, high-alkali, high-acid, etc. The most popular use for PVC annealed wire is in the constrction of chain link fences for industrial security fences, freeways and tennis courts. It is also used in other applications such as coat hangers and handles. Chicken cage, poultry cage, animal housing, crop protection, fruit cages, garden protection, rabbit control. 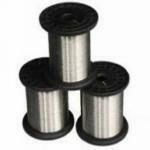 We also supply stainless steel wire mesh, pvc coated wire mesh and so on. Weaving and characteristics: Crimped before woven, with all types. to roast flour food and meat. The shape can be round, square, curve and so on. Specially requirement can be customized !